﻿﻿﻿﻿﻿Limo Bus Rental For Your First Baby Ride Home! Your bundle of joy is finally here and you are ready to venture home with your new child. What a wonderful milestone and event in your life. Party Bus Toronto VIP is here to make sure that your ride home is a fun filled and exciting event for you to remember forever. We take pride in our services and dedicate our pride toward special events like this. With all the hype and your long stay in the hospital, you can finally sit back with your spouse and fully enjoy yourselves with a luxury limo ride home. We are here to make sure that you and your new family is taken home in style and ease. Our limousine service allows for this to happen. Party Bus Toronto VIP gives you the means to truly show everyone how much you truly care. 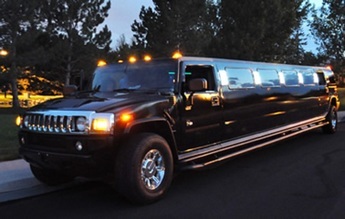 With this great limo ride home, everyone can relax and enjoy a stress free ride in style and grace. Call or click today and get your quote on your baby’s first vehicle ride! ﻿A Special Limo Ride for Special Cargo! Here is some of the great features that you can enjoy during this special occasion. With your new bundle of joy in their first vehicle ride, you can rest assure that we take pride in our limo maintenance and assure you that the ride is going to be a smooth as your new born. Each vehicle is thoroughly inspected including the motor and the tires. This gives you the satisfaction knowing that you will receive at smooth and excellent limo ride with your baby on board. You can sit back and relax and enjoy your new child’s first vehicle experience. Your child will only be a baby once. This gives you the extra time to make that special bond with your baby. You can focus on your child and not worry about the daily life of traffic and roadway express. As a mother you can sit side by side and pamper your baby with this new experience, and as a father you do not have to worry about the transportation but have more time to experience with your baby. This is a great moment to form your first and lasting bond with your new bundle of joy. Over the last few days you have certainly hit a certain level of stress. With the birth as a mother this can be a roller coaster of emotions, and for the father the same. With your luxury limousine ride home, you can finally sit back and rest in a stress free environment. This allows for you to take a breather and enjoy the ever loved moments of your baby’s initial stroll into the world. This allows for memories to be created and for you to relax and finally embark your energy on the mother and your new baby. What a happy time this can be for you!